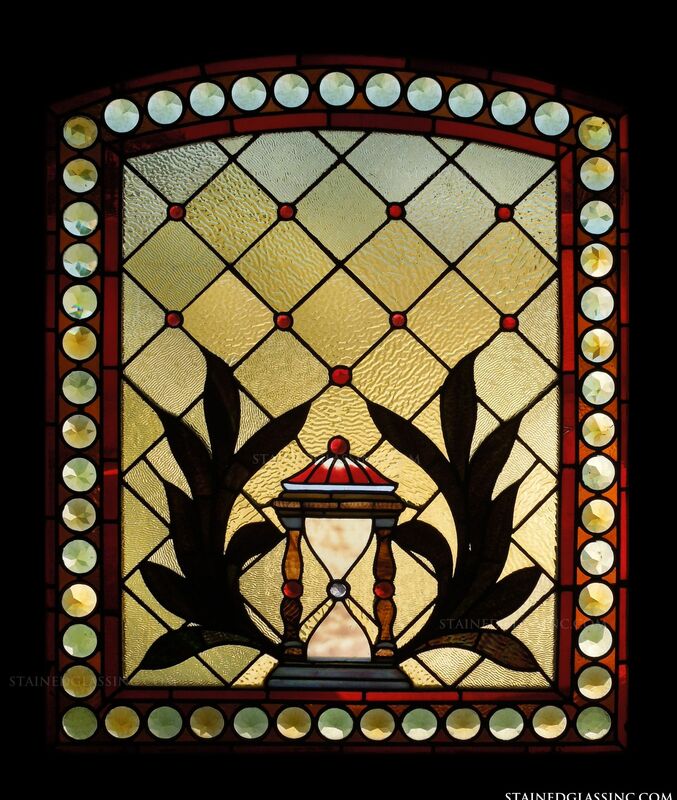 A frame of glass orbs surrounds this stained glass depiction of an hourglass. 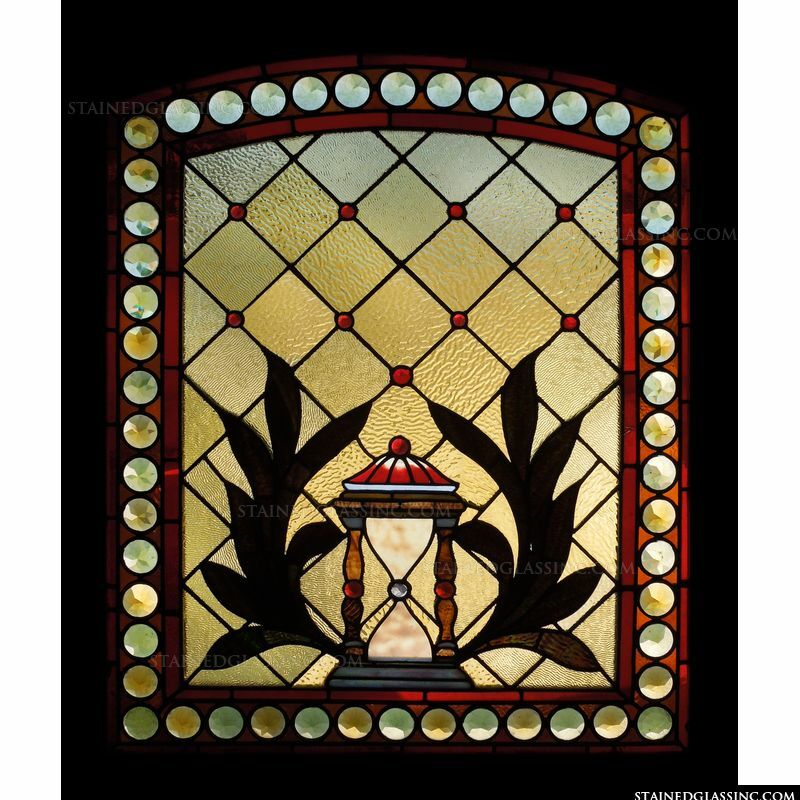 Branches border the hourglass on both sides and a geometrical design is the background. 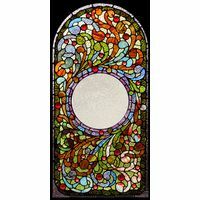 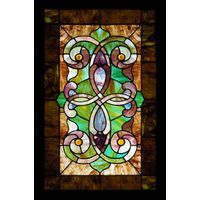 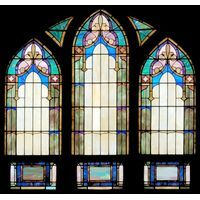 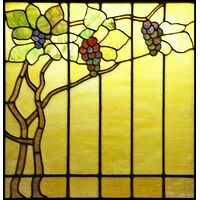 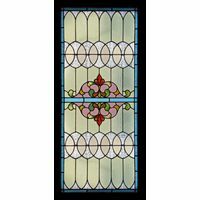 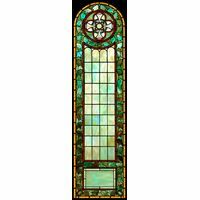 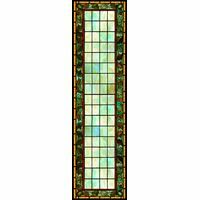 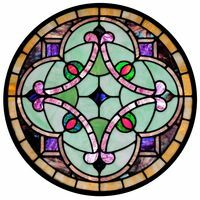 Feature this stained glass artwork as a door or window insert or hanging stained glass panel.